TEGS Ltd. fabricates glass beads (insulators) by way of the drawn tubes cutting with a diamond blade. For production of glass beads according to our technological process we use high quality raw glass blanks that were properly melted, chilled and flashed. These glass blanks have to satisfy stringent requirements to physical and chemical properties and absence of foreign inclusions. Our glass beads quality is sufficiently high in regard to all properties (including electric strength), because they are fabricated from clean, homogeneous glass without any admixtures. 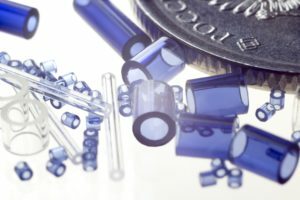 Fabricating glass beads according to our technological process we can get small-sized products and observe severe tolerances to their parameters. We observe tolerances for the glass bead outer and inner diameter up to 0.005 mm and height up to 0.06 mm. 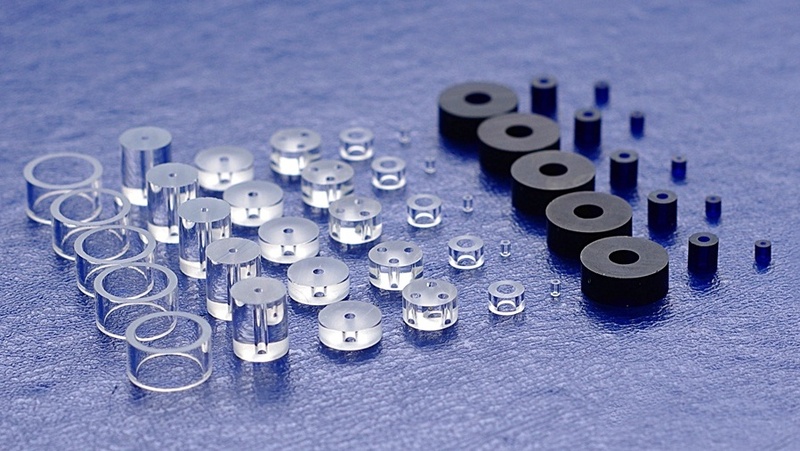 Glass beads produced by our company are used as bodies of read-switches or semiconductors providing vacuumtight seals with metals and as insulators of current-carrying pins of relays and other elements of radioelectronic equipment.